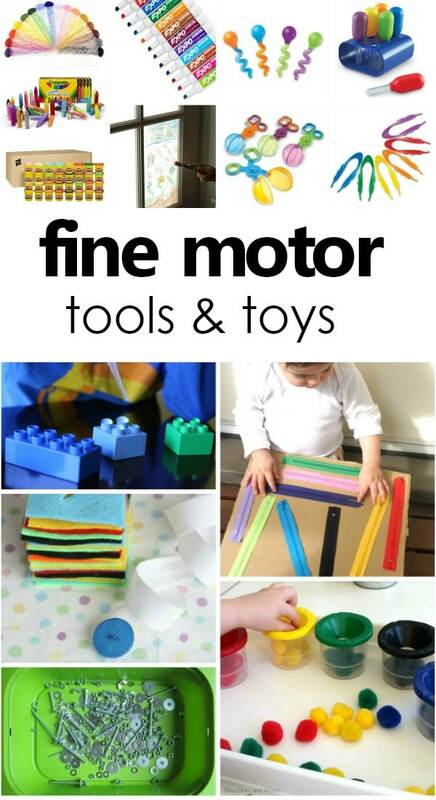 Developing fine motor skills is one of the primary goals of the early years. 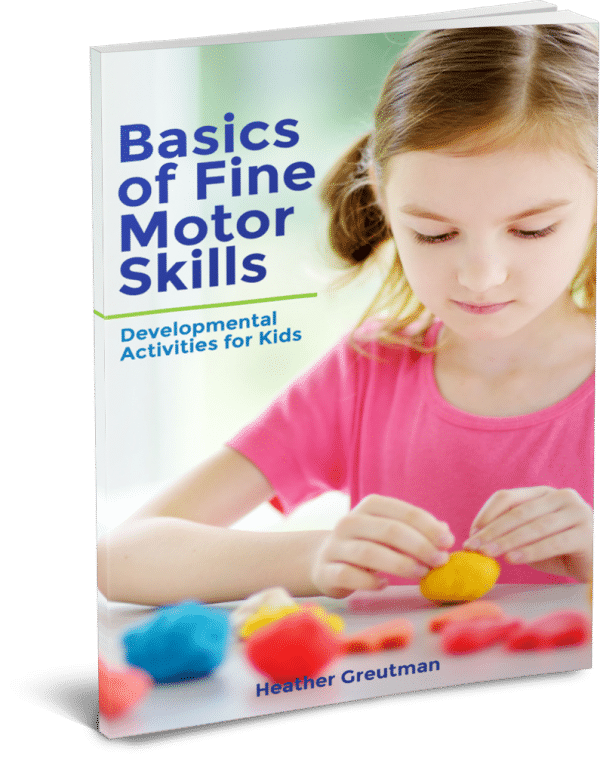 These skills develop as kids learn to manipulate and control the small motor muscles in their hands and fingers (as well as other parts of the body, but for the most part when we discuss fine motor skills were are speaking of the muscles in the hands and fingers). Fine motor muscles allow kids to grasp small objects, zip zippers and do many self care activities that help lead to independence and self-confidence. They are also essential to handwriting development. 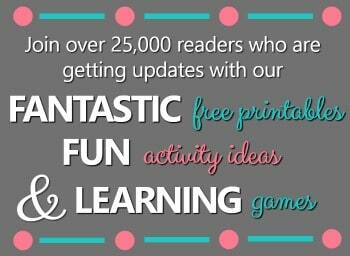 There are many ways we can help kids as they are developing fine motor skills. 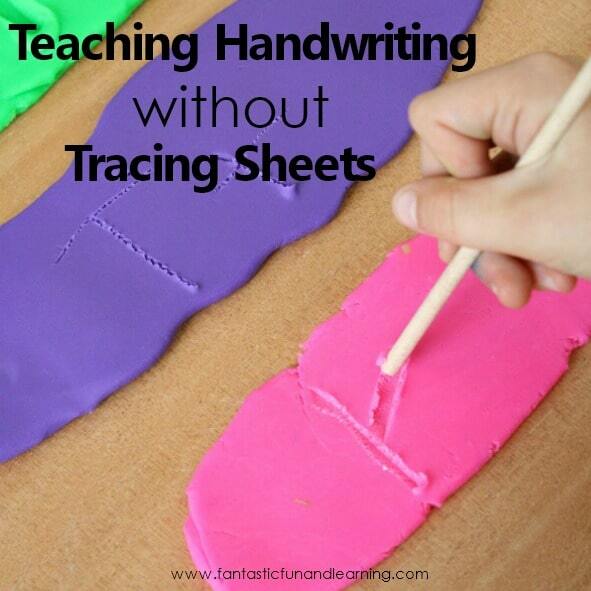 I’ve previously shared tips for teaching handwriting without tracing sheets with a free printable list of pre-writing activities that support fine motor development. In this article we’ll explore some of tools and toys we can keep on hand and integrate into play activities to give kids many opportunities to strengthen fine motor muscles. 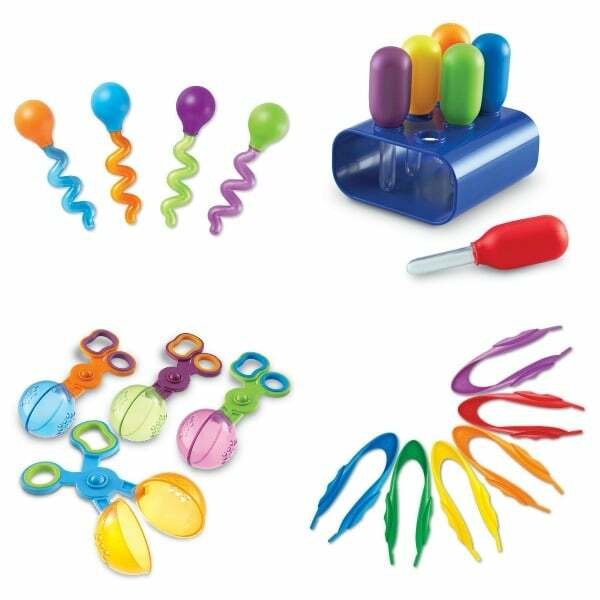 Place Handy Scoopers (bottom left) in sensory bins for kids to practice scooping and transferring while using their thumb, middle and index fingers to open and close the scoopers. These are great for sensory bins and sorting activities like our chocolate fine motor play. Use Jumbo Tweezers (bottom right) for a variety of transferring activities and sensory bins. This set comes in a variety of colors so you can also use them for color matching fine motor games. We even used ours for our apple picking play dough invitation, counting caterpillar eggs, and counting worms. When you’re using liquids the stand that comes with these Jumbo Eyedroppers (top right) comes in very handy. Use the eyedroppers for science explorations, water play, color mixing, measurement, math, and more. There’s something about twisty straws that kids just find irresistible. These Twisty Droppers (top left) build on that enthusiasm and add in a fine motor twist. Use them for water play and other activities that you would use pipettes for. Window markers are tons of fun! 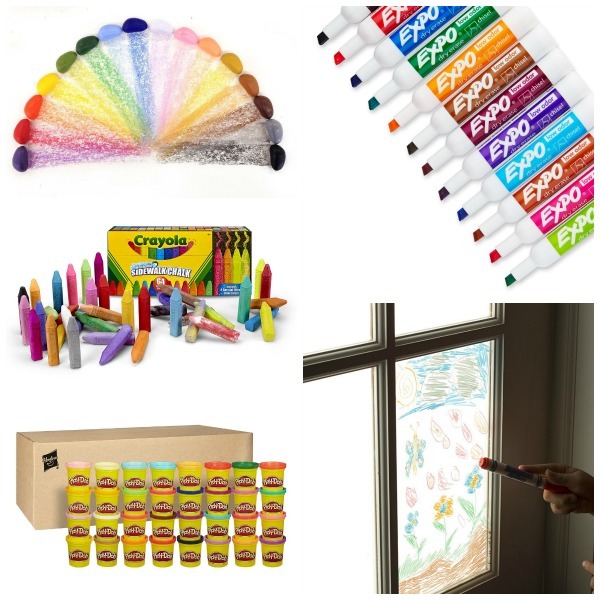 Working on a vertical surface helps strengthen shoulder muscles, and windows provide a fun canvas for little artists. Stubby crayon rocks help kids develop the tripod grasp they need to eventually hold a pencil. Mini golf pencils are often recommened, because writing with a small pencil also helps strengthen mucles needed for fine motor development and encourages the tripod grasp. Dry erase markers glide smoothly across the white board making it easier to write. Sidewalk chalk adds fun while kids work on writing on a different kind of surface. Try the glitter version too! Play Dough is a fine motor must! Squishing and rolling the dough is a huge benefit to fine motor play. Make a DIY button snake so kids can practice buttoning and lacing. This nuts and bolts sensory bin is excellent fine motor practice for little tinkerers. Practicing with a zipper board is beneficial for both self-help skills and fine motor development. Exercise those little finger muscles with a pom pom color push. Have a little LEGO lover? 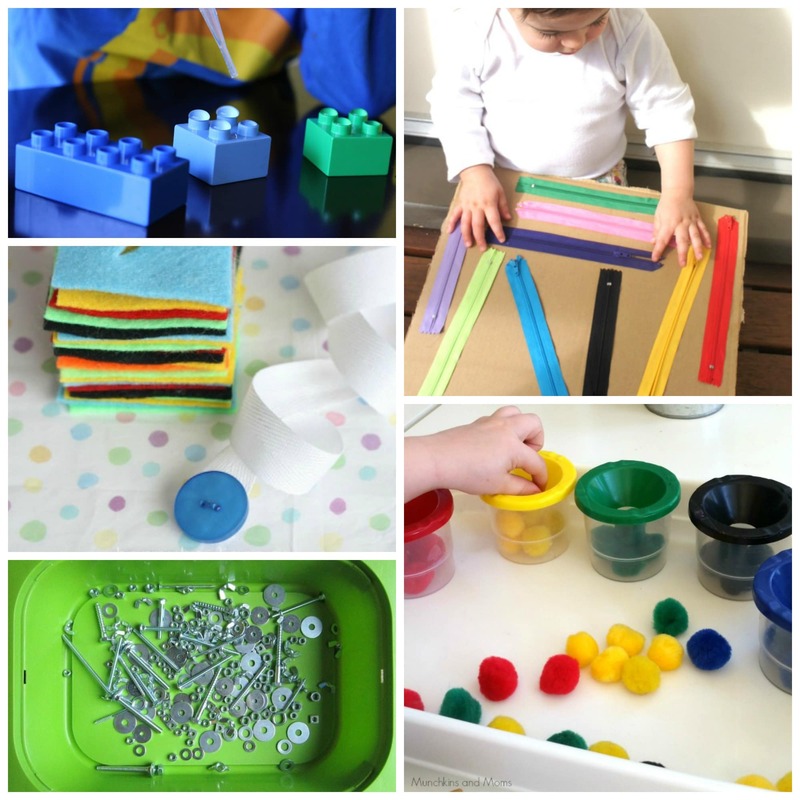 Try these ideas for using LEGO to practice fine motor skills. Not into DIY? I get it! Add some of these games to your collection. 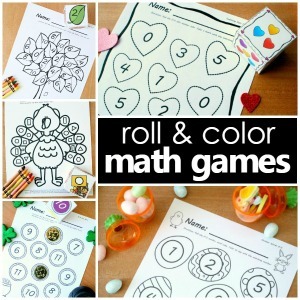 They’re fun and great for fine motor practice!